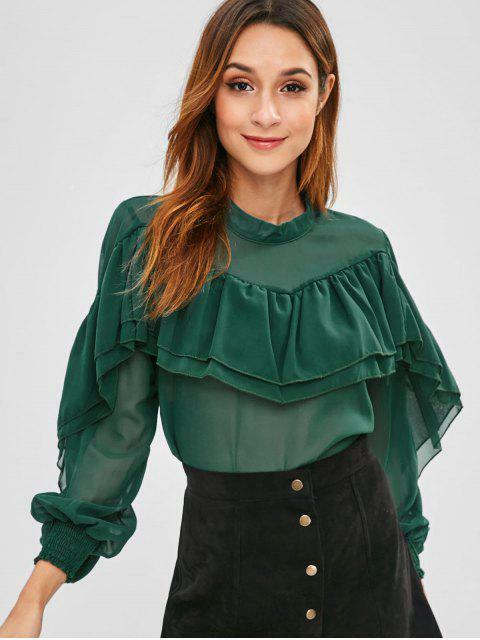 [32% OFF] 2019 Layered Ruffle Overlay Blouse In SEA TURTLE GREEN | ZAFUL .. Kick the romance factor up about a thousand notches with this ruffle top. It is constructed from a semi-sheer fabric and features a band collar, a back keyhole cutout, and layered ruffle overlay across the body and sleeves.